For more than 180 years Black publishers have been the most visible leaders and advocates for our communities. Often summarily dismissed in contemporary American culture, the Black Press has played a leading role in heralding Blacks’ history and fueling the momentum of our culture, economics and politics. The truth should be known that throughout history America’s Black Press has been critical to African-Americans’ education, information and progress. But, in reality few Black Millennials know the Black Press as their most creditable information medium. This generation of Blacks needs to recognize and honor Black newspaper publishers that have served as the pillars of enterprise and information in their communities. Today’s Blacks only know the mainstream publications that have no interest in our race or its issues. The history of the Urban League, NAACP, and integration of the military and civil rights movement was made with Black newspapers being mediums for these topics. During the 20th century Black newspaper publishers distinguished themselves and their newspapers as the primary voices for, and about, African Americans. One such publisher and community leader was Calvin W. Rolark, founder of the Washington Informer newspaper in the nation’s capital and the United Black Fund Inc. (UBF). Rolark started the Washington Informer newspaper in October 1964 and used its power and reach to establish one of the nation’s largest Black charitable fundraising organizations. At its inception, UBF was the largest Black-oriented charity organization in the nation. At that time, UBF was a $17 million-a-year United Way operation providing for more than 150 inner-city Washington social service projects. In 1969, Rolark was named, “Citizen of the Year,” by the District of Columbia Federation of Civic Associations. Throughout history, Black publishers have been partners with their communities’ progress. “If it is to be, it’s up to me” is the way Rolark started his presentations to the public. Rolark made this plea for “Black self-reliance” to help his community’s people develop the attitude of winners. Though he gained success as a publisher, it’s said that formation of the UBF was Rolark’s seminal lifetime achievement. 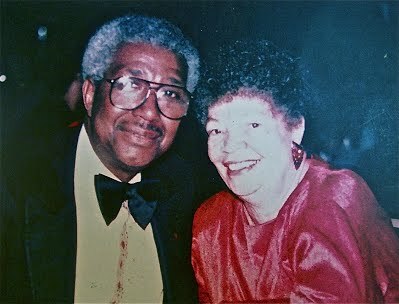 Beginning in 1969, Rolark and his wife, Wilhelmina, “worked to help people help themselves” through UBF Inc. Their historic legal and civil battle to open doors to charity fundraising campaigns yielded their agencies a revenue stream to the tone of millions of dollars a year. UBF, whose motto is “meeting unmet needs” is a model of organized community-based efforts to improve the lives of Blacks. UBF works with more than 100 member agencies across the city. Under leadership from representatives directly from the community, UBF implements family focused initiatives that provide parents with tools for raising children that encourages neighborhood education and recreation activity to guide and direct youth, and promote community-based problem solving. Under Barry Lenoir, UBF continues work required for Black youth to succeed. And, for Black families to gather the resources required for living and not merely existing. In the 1980s and 90s, Rolark worked to end violence, as he promoted respect and cooperation among African-American Washingtonians. As the Washington Informer celebrates its golden anniversary, executives in the publication say they continue Rolark’s mission “to highlight positive images of African Americans in the nation’s capital.” Marketing manager Ron Burke says, “we strive to educate, empower and inform,” through print, the web, weekly email newsletters, and TV shows. The Rolark Initiative “Washington Informer Charities” sponsors an annual Dr. Martin Luther King Jr. Holiday Parade and Freedom Walk and the City-Wide Spelling Bee. In honor of African American History Month, Washington Informer Charities conducts a daylong African-American Heritage Tour. ONE MAN CAN STILL MAKE A DIFFERENCE! Hey Buddy!, I found this information for you: "“If It Is to Be …”: A Winning Attitude". Here is the website link: https://blackmeninamerica.com/if-it-is-to-be-a-winning-attitude/. Thank you.